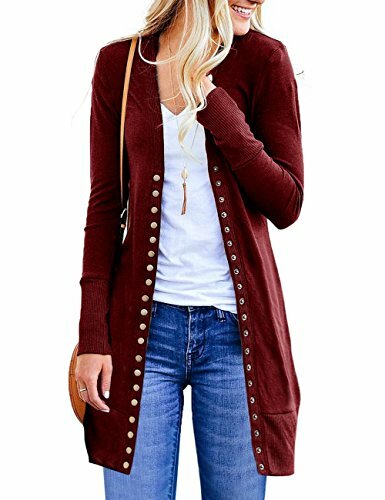 Cardigans are a closet staple so you won't want to miss out on this! The material is so soft and lightweight, making it perfect for transitioning from summer into fall. The lenght is cover your hip rightly. We love that you can pair it with slacks for a day at the office, or wear with your favorite skinnies for a more casual look! Washing Instruction: Machine washable, hand wash cold, air dry, low iron if needed. If you have any questions about this product by MEROKEETY, contact us by completing and submitting the form below. If you are looking for a specif part number, please include it with your message.